Unca Darrell: Dedication / Felton E. West, Jr.
Felton began working for the Houston Post as a copyboy and then a cub reporter at the age of 16. After two years in the Navy during World War II, he returned to the Post and completed bachelors and masters degrees in journalism and political science. During the course of a fifty-three year career, he served in many capacities including city editor, bureau chief in Washington, D.C., and Austin, as well as columnist and editorial writer. Mr. West's most exciting news story was the assassination of President John F. Kennedy. He also covered the Lyndon B. Johnson White House and won numerous awards for his reporting. 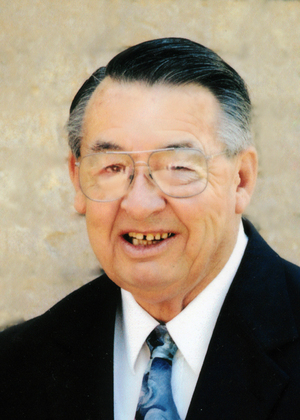 Upon retirement, Felton moved to Liberty Hill where he made some of his dearest friends and turned his life over to the lordship of Jesus Christ. He was a charter member of Fellowship Baptist Church and worked tirelessly for it. His love of music led him to organize several Gospel fests and sing in the choir, and he could be called upon to play his harmonica with gusto. He also loved working with the children in the AWANA ministry and Vacation Bible School. Eighteen days before his death, Felton asked to address the congregation of his church during a Sunday morning service. "Husbands, be good to your wives," he said, "for in that may be your salvation." A good way to honor Felton's memory is with a gift to the Bess Whitehead Scott Scholarship Fund at the Writers' League of Texas, named for Felton's old high school journalism teacher, a legendary figure. She was the first woman news reporter at the Post (in 1915) and wrote screenplays for silent movies. At age 104, she was admitted to the Texas Women's Hall of Fame. Contributions are used for scholarships for two student journalists and one journalism educator. You can send a check to the Felton West Fund at the Writers' League of Texas, 611 South Congress Avenue, Suite 130, Austin, Texas 78704. Hi. Merry Christmas and Happy New Year!